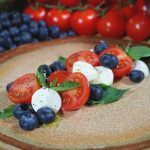 Grilling fruit is a great way to add extra flavour to any recipe. 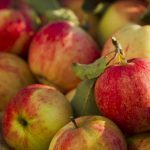 It brings out a savoury side of the fruit, that you wouldn’t get eating it fresh or baked. 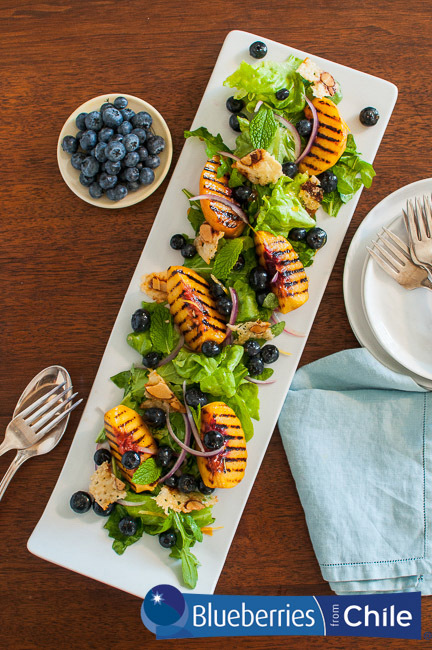 This Grilled Peach Blueberry salad is the perfect way to refresh everyone after a long week. Thanks to Blueberries from Chile, we are able to enjoy this recipe all year, even during our off-season. If you do not have peaches on hand at home, you can substitute them for nectarines. Half the peach and slice each half into 3 slices, set aside. Wash the blueberries and toss them with 1 tbsp apricot preserves and set aside. Whisk together the vinegar, remaining 1 tbsp preserves, lemon juice and zest, 1/4 cup of olive oil, and cayenne pepper until well combined. Season with salt and pepper to taste. Set the dressing aside to let the flavours marry. Preheat oven to 400ªF (205ªC). Mix cheese and almonds together and spread them into 4-inch circles on a lined baking sheet. Bake for approximately 4 minutes or until golden brown. Remove the cheese crisps from the oven and allow to cool to room temperature. when cooled, cut or break into halves. 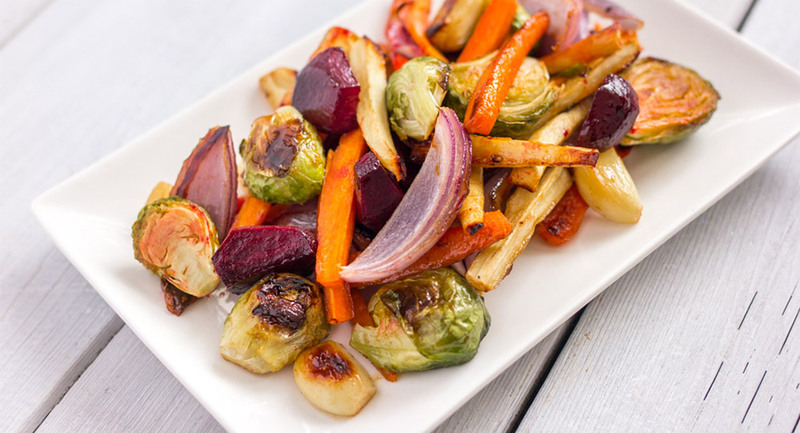 Preheat a broiler or grill to medium heat. Brush the reserved peach slices with 1 tbsp olive oil. Grill the peaches until charred and warmed through. 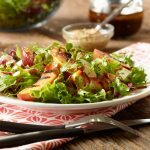 In a large salad bowl, toss arugula, butter lettuce, mint, onion, and blueberries with vinaigrette. Divide the mixed greens between two salad plates. Top with grilled peaches and garnish with crisp. Serve immediately!